These are very slim, extremely light weight batteries based on Polymer Lithium Ion chemistry. Each cell outputs a nominal 3.7V at 120mAh. Comes terminated with a standard 2-pin JST connector - 2mm spacing between pins, that plugs directly into the battery connector on Altus Metrum flight computers. 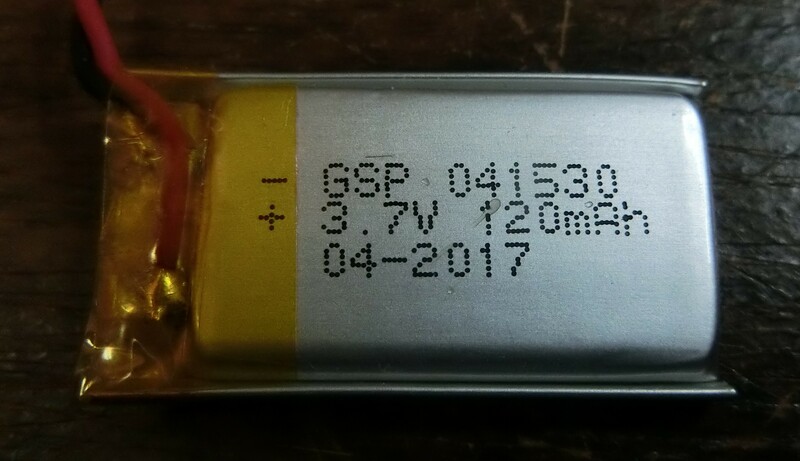 These batteries are approximately 4x15x30mm, and weigh 3.6g. These batteries are ideal for use with TeleMini in airframes as small as 18mm. Dual deploy in an Estes rocket, anyone?.